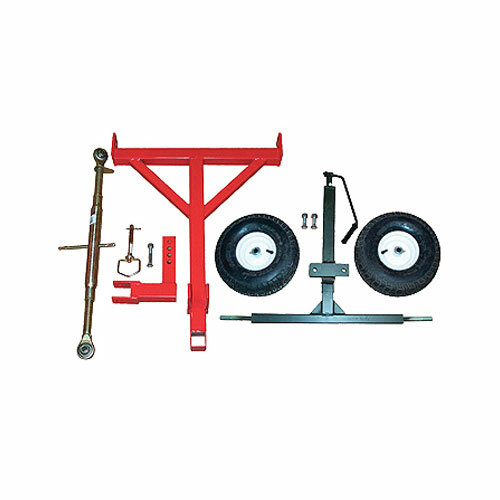 Our pull behind wheel kit allows track and ring conditioners to be pulled behind large garden tractors, ATV's, cars, trucks and gators. They can be used with either large or small arenas, tracks, courts, courses and rings. The pull behind ring conditioner can be pulled behind garden tractors, ATV's, cars, trucks, and gators. The wheel kit allows the ring conditioner to travel over grass, concrete or asphalt driveways with ease. The track and ring pull behind conditioner easily hooks up to smaller farming equipment with quick release draw pins. The frame of the conditioner is powder coated highly visible red for a durable smooth finish. Lightweight compact design allows to be pulled behind almost any vehicle with sufficient power. It comes disassembled for economical shipping costs. Assemble in less than an hour with just a few wrenches. Pull behind track and arena conditioners are great because they can be pulled behind large garden tractors, ATV's, cars, trucks and gators. 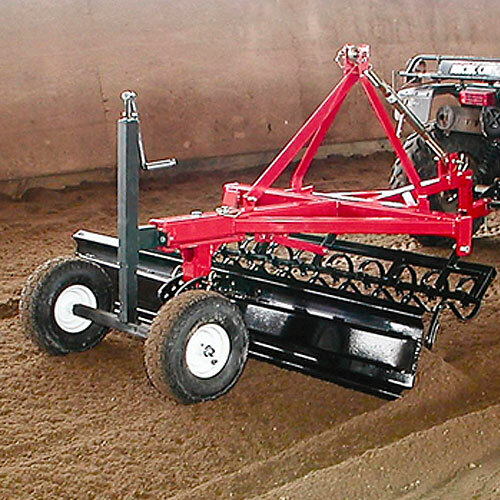 They can be used for large or small tracks, rings and arenas. They are super easy to hook up with their quick release draw pins. The pull behind wheel kits travel over grass and driveways and are adjustable.